that would be C-liner and no they were not. engines are MUed not double headed . The name "C-Liner" came from FM's catalogue, naming it the "Consolidated Line" of Diesels.ergo "C-Liner". In Spanish, "Si' Liner". At the San Diego Zoo, "Sea Lions", but that's immaterial. 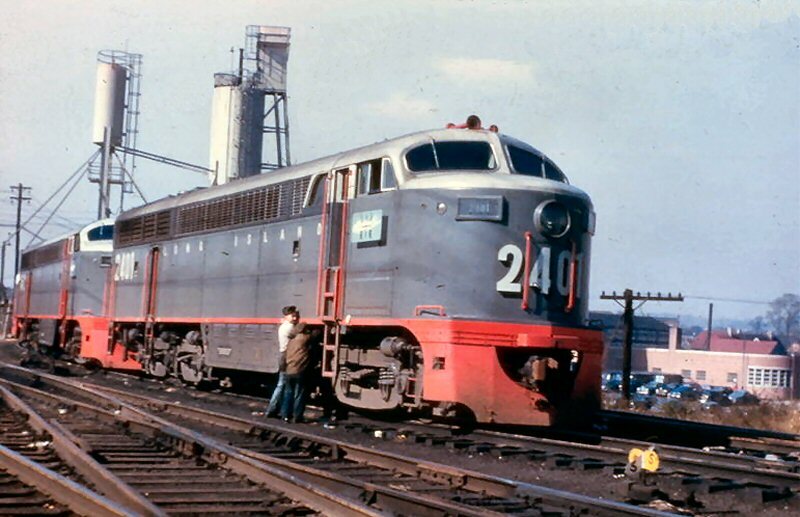 Prime Movers from some of the LIRR FM units saw secondary lives in ship applications, some in Viet Nam. Viet Nam was once a French colony, so they could be "Oui Liners" as well. I hope this hasn't been helpful. I read somewhere that the C-Liners could not run MUed. One could tow another but they could not be used to double the power to a train. Head-end View wrote: I read somewhere that the C-Liners could not run MUed. One could tow another but they could not be used to double the power to a train. I've never a photo of two or more pulling a consist MUed. Double headed (each operated individually by its Steam engine crew) would not apply in this case. At Richmond Hill yard.. NOT on the ROW. Sorry for going off topic a bit, but are there any Fairbanks-Morse "C" liners in existence anywhere ? See?--No MU hoses on the B end-- Liner! I have been told that C-Liners did operate in tandem on Montauk trains, but two crews were required. This was a rare operation. Has anyone ever seen photos of two C-Liners in action, a train order Form 19, etc. That would indicate "double heading" (non-MU capability) as the OP asked about.... Two of these lashed together with each under engineer control? What am I missing?